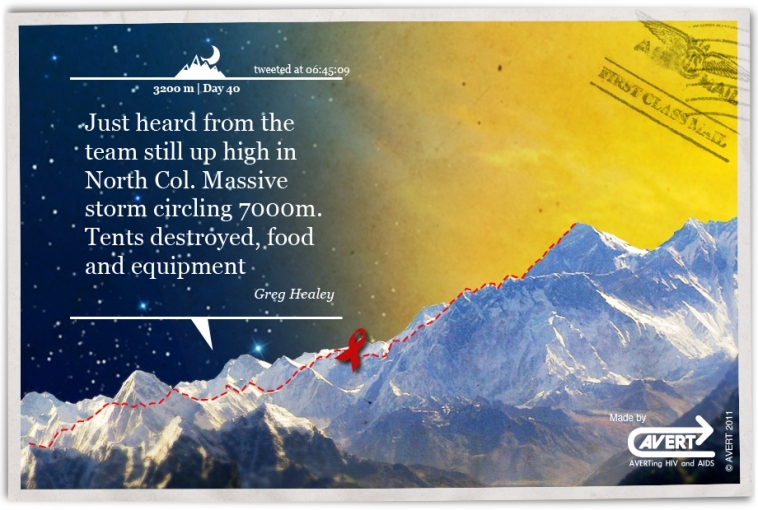 Greg Healey raised £8,550 for AVERT by Climbing the Everest! To promote this unique fundraising event. 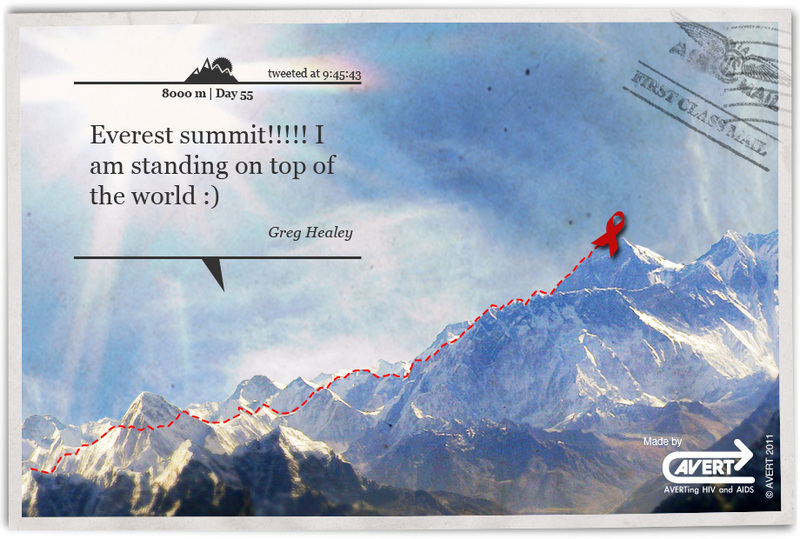 While working for Avert, I created an interactive postcard that people could add to their blog or website. We knew that Greg would be tweeting while climbing (crasy!) and also be linked to google map to show he’s position and altitude. The Postcard idea came from sending messages to your family or friends while on holiday to update them on what you’re doing. 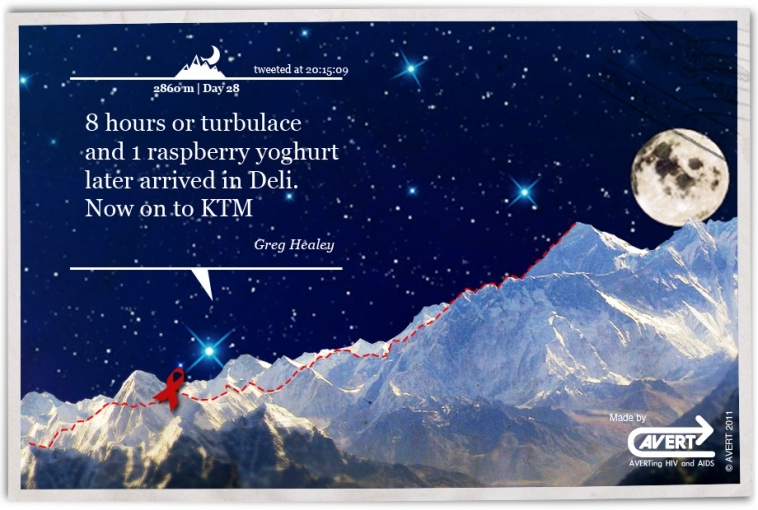 The postcard is then generally sticked to your fridge as a souvenir or trophy. 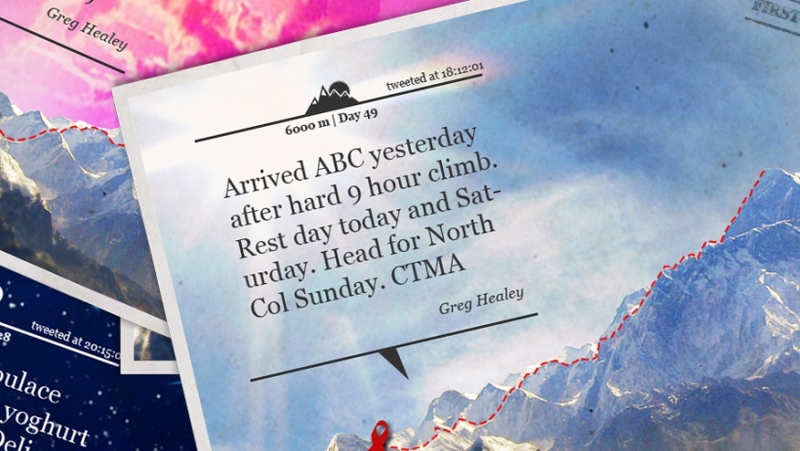 Here the messages are the tweets and altitude and the fridge is your website. Greg loved the idea. 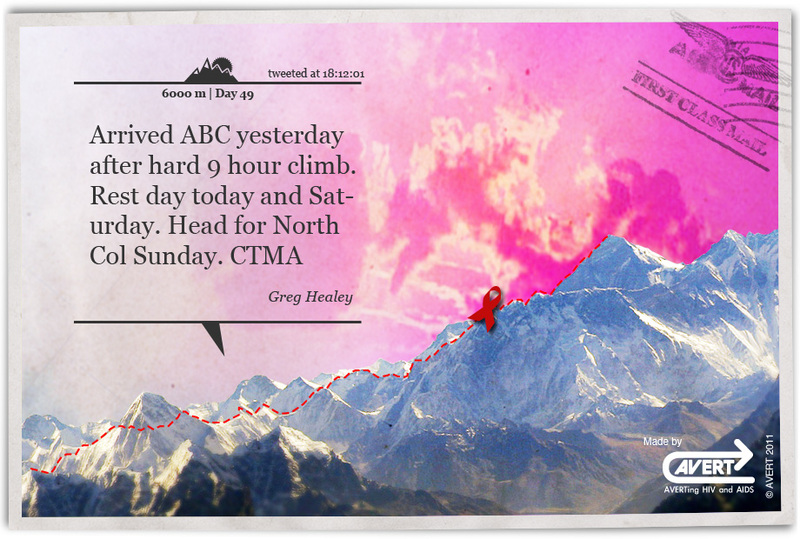 The interactive postcard updates every hours and displays Greg’s latest tweet with the time, altitude and day of when that tweet was made. A little red ribbon represents him on the mountains and the sky rotates according to the time of day. 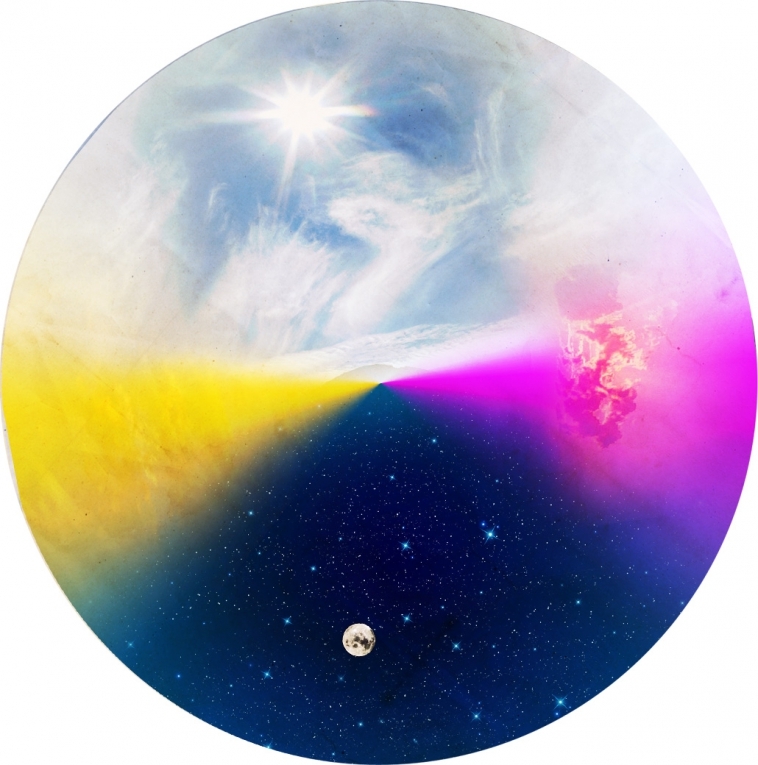 Having the sky rotating and changing from bright sunshine to nights filled with stars or sunsets and sunshines made it different and interesting every time you look at it. The Postcard was created with Flash, designed in Photoshop and used php to collect the feeds from twitter for Flash to display. The whole project took a week and a half.